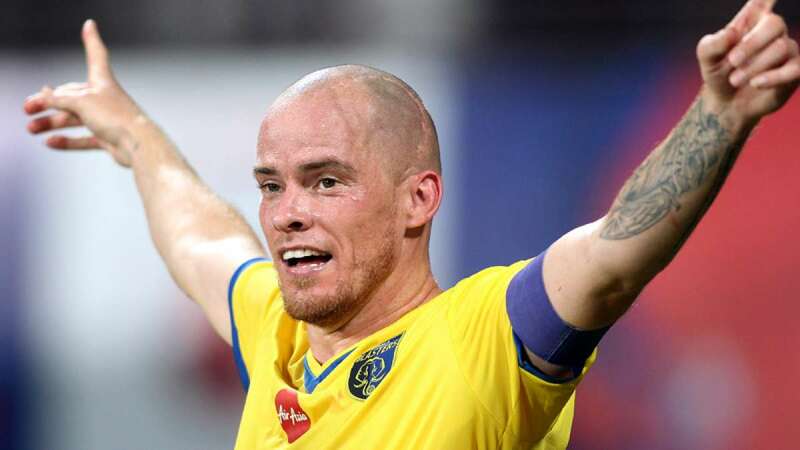 Kochi : Iain Hume will have to forget his past and dwell on the present as he attempts to win his first Hero Indian Super League title. The tenacious striker is the leading goal-scorer in ISL history and came agonisingly close in the first season when he pulled on the Kerala Blasters FC jersey and played against the might of Atletico de Kolkata in Mumbai, only to lose by a late goal. Two years later, he has another chance, although this time he will line-up against Kerala Blasters where supporters still adore him. “I am just fortunate. After playing for Blasters in the first season now I am with ATK for the past two seasons, playing for the (two) best supported clubs in India. I am over the moon to be in the final and I think we proved a lot of people wrong this season. We are where we are because we deserve to be there,” said Hume, who leads the all-time goal scorers list with 23 strikes in three seasons so far. For neutrals, it will be interesting to see Hume take on the home team and its massive support base in the final at Jawaharlal Nehru Stadium, Kochi, on Sunday. Hume has scored against every opponents in ISL, except for Blasters, making the final clash even more interesting. “We can’t predict finals. It’s about who shows up on the day and both teams will be raring to go. We will see who comes out on top again,” said Hume. Atletico de Kolkata coach Jose Molina chose not to start with Hume for the second-leg semi-final against Mumbai City FC and was probably keeping him fresh for final. Hume was the leading goal-scorer for his respective teams -- Kolkata in 2015 and Kerala in 2014 – in every ISL campaign and looks to cap it all with his first title. Atletico de Kolkata will be encouraged with Hume’s record of picking up pace in the second half of the league. In the past two seasons, Hume has reserved his best for the latter half. Last season, he scored just three goals in his first seven matches but roared back to form with eight goals in his next nine matches. This season too he started slowly, scoring just two goals in his first seven matches before scoring five goals in the next nine games for Atletico de Kolkata. In six knock-out matches, his record is impressive as well. He has scored four goals in knock-out matches and whenever he scores, his team never loses, providing Atletico de Kolkata with plenty of hope going into their second final in three years.